One of the problems we help customers with is identifying why their print jobs don’t have the number of pages they expect, using our print server RPM Remote Print Manager® (RPM). We’ll cover several possibilities and show you how to determine what the problem might be. Usually when you setup RPM, you expect the jobs to process right away and then you don’t need to see them again. On April 3, 2019, we released RPM Remote Print Manager® (RPM) update 6.2.0.502. We'll outline the changes below. Data extraction now performs count based extraction in files larger than 256K bytes for RPM Elite, and 64K bytes for RPM Select. We have also optimized the pattern and positional extraction in files larger than those sizes. We have encountered customers in the financial services industry who want to archive their print jobs by date using our print server RPM Remote Print Manager® (RPM). One pattern we've run into is where they may receive a random number of text reports through the day. These reports will need to be appended into one file with the current date in the name. And, of course, the setup needs to work "hands-free," so there is no daily set of steps to get this result. It has to be automatic and fool-proof. 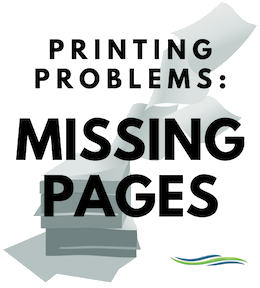 "Logon failure" may seem like a strange topic for a printing problem but it's something our customers encounter, and it's a tough one to troubleshoot. This post will answer the questions "what is this about?" and "what should I do?" Let's set up this scenario. The customer has been working with us for some time, using RPM Remote Print Manager® (RPM). They are setting up an "Archive to folder" action using a domain service account to write files in folders on a network share. The user account has the correct credentials. We released RPM Remote Print Manager® (RPM) Release 6.2.0.501 on March 26, 2019. The significant changes appear below. Queue Folders is our folder watcher module. If Queue Folders gets a notification on a file, but when it adds the file as a job the file no longer exists, Queue Folders will stop retrying the operation. Periodically we receive a question along the lines of "what happened to my job?" It seems that the user expected two jobs, but saw only one come into RPM Remote Print Manager® (RPM) and usually the two expected data files are merged. In this post, we'll take a look at several tools RPM provides to give you a look at the actual print traffic RPM receives. RPM's LPD protocol setup provides a "capture" feature, and the diagnostic logging provides details on LPD, telnet, and others. Finally, we'll close with a caveat on job tracking. For this discussion, let's talk about the third scenario. What command do you use to print files? We have two options for you. One question people ask often is whether RPM Remote Print Manager® (RPM) can reprint jobs which it has already processed. The answer is "yes," but there are a few things you need to do to set this up. We'll cover those below. Let's first cover RPM's built-in tools for reprint, and then talk about a suggested practice for managing large numbers of historical print jobs. Not long ago we were able to help a partner company with a printing issue. This company uses a system that generates custom PCL, the language for HP printers used worldwide. We are not familiar with their system, but we help them with various printing issues. In turn, they provide many of their customers with our RPM Remote Print Manager® (RPM) software. In this post, we'll describe the problem, and follow up with two approaches to solve the problem. We released a beta version of RPM, 6.2.0.500, on February 20, 2019. The changes are as follows. We updated device tester messages which indicated where a problem had occurred, but not what the problem was. It is more challenging to offer help in those situations. We also added the device ID and path to several messages, making it much easier to determine which device had the issue.